Just had the great news that we’ve saved the number 22 bus which me and my ward colleague Cllr David Nagle have been working to save on behalf of local residents. When we found out the the private bus company Square Peg was going to stop the service we launched a campaign to save it. The 22 is a vital bus for many residents who rely on it. It runs from Rothwell Commercial Street via Woodlesford to Garforth and Seacroft. We’d already started to campaign to save it when residents started to contact us and also came to see us at our councillors’ advicce sessions and street surgeries we’ve been holding around the ward. We raised residents’ concerns directly with the chair of the West Yorkshire Combined Transport Authority (WYCA), Cllr Keith Wakefield; the deputy leader of Leeds City Council, Cllr James Lewis; and Square Peg. It’s hard to save a bus service as Square Peg is a private company running the route as a commercial business so can withdraw it if it wants to. However, we got WYCA to get passenger numbers from Square Peg so it could analyse the route and do surveys to see if it would meet its criteria for support. 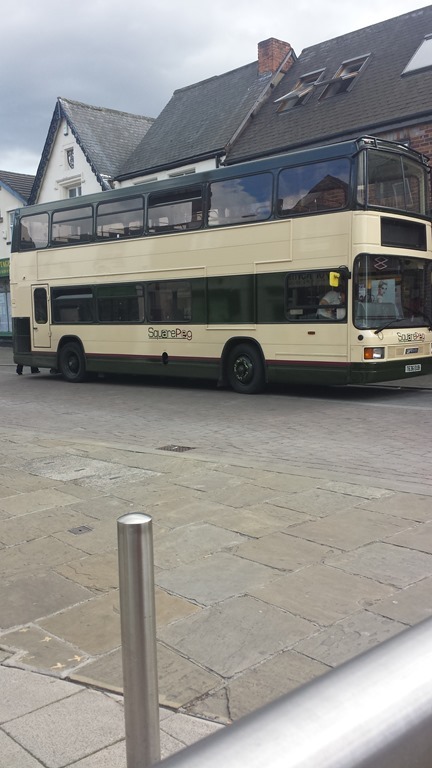 A spokesperson for WYCA told me that it has now decided to subsidise Square Peg to continue operating the 22 service. It will run Monday to Friday off peak from 21 March until 22 July, when the service will be reviewed alongside others in Leeds as part of a wider network review. I know residents from the Woodlesford area, who don’t live near the main Aberford Road and many people who live further up the hill off Holmsley Lane, including older people really rely on this service. This bus serves a need for those going to the NHS dentist in Garforth who haven’t been able to register with one in Rothwell. It also allows people relying on public transport to shop at Lidl. There are also quite a few carers who rely on this bus. Residents on Haigh Road and streets off such as Styebank Lane are also badly affected as they rely on this bus with no bus serving it to Leeds. We are campaigning for a better bus for these residents and don’t want residents to lose the service they do have. We understand that buses are essential for many local people who need them to get to work, college, hospital visits and shopping. Many people think the council run bus services as they did many years ago but this is not the case. Square Peg run this service commercially so decisions to run or cancel are made by them as a business not by Metro. The Conservative government cuts mean there’s a lot less money to subsidise tendered services, but we are so pleased that funds have been secured to keep this valuable service going and we will be pushing for this service to be further extended on behalf of the residents who rely on it. So you see despite the Tory cuts to council service we can still stand up for local people and not just stand by and see people suffer. This entry was posted in Older People, Rothwell, Transport, Woodlesford by Karen Bruce. Bookmark the permalink.